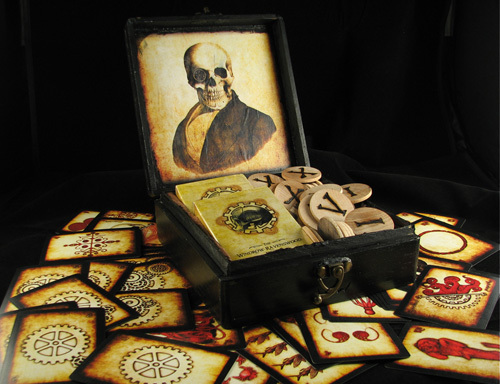 This piece is a one-of-a-kind item- a travel case containing two copies of our Windrow-Ravenswood Deck, and sixty hand-burned maplewood poker chips. The perfect addition to any card enthusiast's collection! This one-of-a-kind piece has already been sold. If you're interested in commissioning something similar, please contact us.